School Photo Orders – please return your child’s photograph orders to the school office in their sealed Tempest envelope by Friday 3rd October. The orders will be sent off on Monday 6thOctober. Any late orders may be sent by parents directly to Tempest however there is an additional charge. Morning registration –the Key Stage 2 children have been coming into their classrooms each morning once the gate opens at 8.40am. The Key Stage 1 teachers would now like to trial the same system for their children. From now on please drop your children off to their classrooms. The Teachers will still be available to speak with but to encourage independence, please resist entering the class with your children unless you need to see the staff.All children should be in their classrooms for registration by 8.50am. There will no longer be a bell rung. New Clubs – thank you for your interest in these clubs. The cookery and computer clubs were very heavily over-subscribed. The early morning KS2 Rugby Club did not have the interest and will not be running. Instead this club with Mrs Bodeker will be offered to the Key Stage 1 children for a Tuesday morning at 8am-8.40am. For all the clubs on offer, the teachers will let you know which children have been allocated spaces and when the club is due to start. Aspen Lunches – there have been many occasions over the past couple of weeks where parents have ordered dinners online but the children have not taken the meals and brought in a home packed lunch instead. This is happening most frequently with the Key Stage 1 meals. Whilst the meals are free of charge to KS1, please consider the food wastage and the confusion for staff that occurs when your child does not appear to take their ordered meal over in the canteen. Please delete your child’s online order if it is not required for any reason ie. illness, school trip or change of mind. Messy Church – St. Leonard’s Church invites you to join their ‘Messy Church’ on Sunday 28thSeptember from 2.30pm – 4.30pm in the Woodcote Village Hall. There will be family fun with crafts & games, a lively 15 minute service and then tea and cakes to finish. Admissions are by donation. Please note that all children must be accompanied by an adult. Harvest Festival – Oak Class will be celebrating Harvest Festival at St. Leonard’s Church with the Pre-schools at 10am – 10.30am on Friday 10th October. Harvest offerings may be brought into school on that morning for display at church. 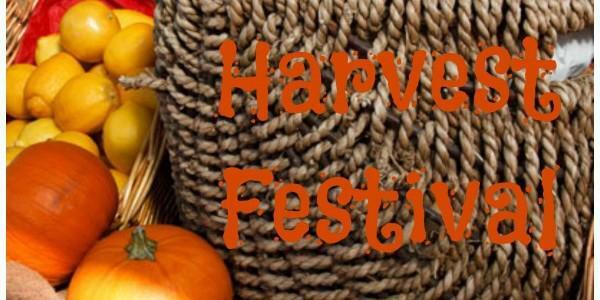 The rest of Key Stage 1 (Hornbeam & Beech) and Key Stage 2 classes will celebrate Harvest Festival at church the following week, on Wednesday 15th October. KS 1 will celebrate at church from 10.30am – 11.15am. The children will be escorted back to school by lunch time. Further details will follow. Harvest Boxes – after Harvest Festival, the harvest offerings are boxed up and distributed to the elderly residents of the village. If you know of anyone that would appreciate a box of harvest produce please let the office know. Also if you have any empty shoe boxes that we can decorate for the distribution of the harvest produce, please bring them in. Sandra Farmer has very kindly agreed to decorate them.